MERRY (whatever) you MAY or MAY NOT be celebrating at the current time. In this exclusive interview from the historic Old Seelbach Bar inside Louisville’s Seelbach Hotel, cello-rocker Ben Sollee shared “a few honest words” about the making of his new album Half Made Man, those whom he collaborated with to make it, musicians who he’d still like to collaborate with in the future, and his views on the Presidential race and what’s at stake. Click here to download the digital issue of Performer Magazine December 2012 issue. Or you can watch the interview in its entirety here. …and the lobby of the city’s most iconic display of Southern grandeur, The Seelbach Hotel, is bustling with road-worn and seemingly infrequent visitors stirring about. One of those visitors is Lexington-native Ben Sollee, one of Kentucky’s up-and-coming “musical” displays of Southern grandeur. A classically trained cellist, Sollee is a one-man orchestra, who owns his instrument and is known for playing it with a combination of passion and grace. He has managed to breed a whole new style of playing his centuries-old instrument, where the end result is a little rock and roll, a little soulful, a little bluegrassy, a little jazzy, very modern, and all Americana. In 2007, Sollee was lauded by NPR’s Morning Edition as one of the “Top Ten Unknown Artists of the Year.” After that, he officially began exporting himself nationwide and into the spotlight. He’s played Louisville’s Forecastle Festival, Bonnaroo, the Newport Folk Festival and in 2009, landed one of his tunes on Showtime’s series Weeds. When Sollee wants to jam onstage, while on tour or while recording a new album, he collaborates with everyone from My Morning Jacket’s Carl Broemel and Jim James, to Daniel Martin Moore to Bella Fleck to Abigail Washburn. Broemel and Washburn joined Sollee on his latest release, Half-Made Man, released through his label, Tin Ear Records. He raised the funds to record it from a public-sourced fan base. Sitting down in The Old Seelbach Bar, Sollee candidly opens up about his music and life – from the how and why he creates songs and his top picks for collaborations – to his bike tours and political activism. You’ve just released Half-Made Man, which you’ve said is your most personal album to date. What makes it so personal? 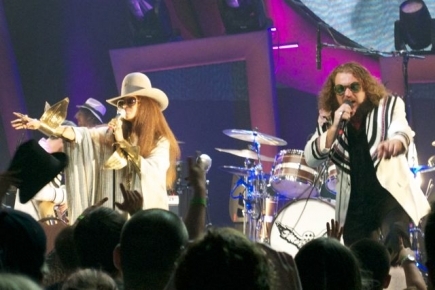 Yeah, you had quite a few guest musicians join you. So tell me about the process of choosing them, and how they contributed to the artistic process. 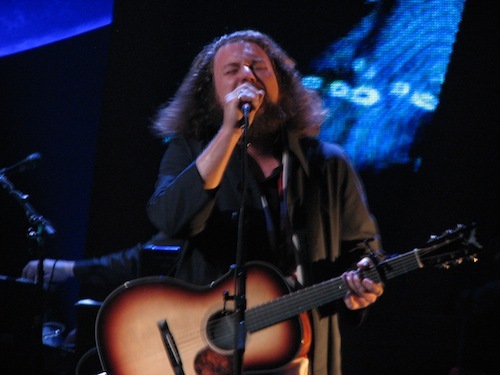 Carl Broemel from My Morning Jacket? “He came in and did a lot of the guitar work that you hear. Alana Rocklin is a tremendous R&B, jazz and hip-hop bass player [who] just came in and just covered all the bases. And Jordan Ellis, who is a percussionist, and who I’ve been playing with for a while. You also had, as I understand it, a guy who is quickly becoming popular in the recording scene here in Louisville, Kevin Ratterman. He’s also worked with My Morning Jacket and Wax Fang, and helped with your production, as well? Speaking of the money, you had a different approach to recording this in terms of how you funded it. Tell us a little bit about that and how that came about. Your music has historically had an activism aspect to it, such as your bike tours. Is there anything in the future that’s gonna keep that part of you alive and how are you going to do it? Where are you biking to and from this year? How many miles would you say? And you actually had the cello strapped to your back? So tell me about some of the other artists out there who you’d still like to share a stage or studio with. 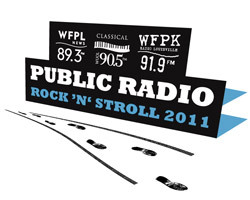 In a world where federal funding for public radio is shrinking, the number of people who support Louisville’s public radio stations (or maybe Ben Sollee) seem to be just the opposite. This past Saturday night hundreds, if not thousands, flocked to Iroquois Amphitheater for the “Rock ‘n‘ Roll Stroll” event that benefited all Louisville public radio. Kentucky-native Ben Sollee and his band headlined, along with one man band Tennessee-native David Mead were a good enough reason for people to pack in Iroquois Amphitheater on the slightly cool weekend summer night. Armed with a Gibson 335 guitar, a soft and soothing voice, Mead strummed out his 50‘s style crooner ballad rock to open the night. And although no one song’s performance seemed to trump the other, his melodic tunes were greeted with enough audience ovation to make me second-guess my mundane reaction. I guess when I saw that Gibson I was hoping he was really going to rock it out. Then came Ben Sollee. And I knew that soon, my craving for wanting to see someone really rock-out their set of strings would be fulfilled with Sollee. Like some other music writers, I have a slight obsession with needing to classify an artists’ sound down to one or two particular musical genres. With an artist like Sollee, it’s a bit of a difficult task to do. From one song to the next – and sometimes within the same song – you get a multitude of sounds, instruments, tempos and vocal styles. Sollee masterfully blends elements of folk, soul, jazz, bluegrass and even some R&B into orchestra-like rhythmic grooves laden with percussion. His voice was soulful, his cello-strumming compelling, and as his onstage demeanor was calm, cool and collected. He was in his zone and nothing but his music seemed to control his emotions. Many things during Sollee’s performance drew boisterous audience applause; the start of a song, the end of a song, or lyrical tidbits like “the hills of Kentucky,” which everyone seemed to appreciate. Now, I admit. I didn’t know every Sollee song by name once it started or ended. As a matter of fact, the only song I actually recognized by name was “Electrified,” the latest off his album Inclusions (see video below). But, it’s not hard to get deeply drawn into his music, even if the song’s name is unknown. Sollee’s music is unusually abnormal, yet refreshing and modern. You know, the way a mint julep is on a hot Kentucky summer night. Electrified from Ben Sollee on Vimeo. 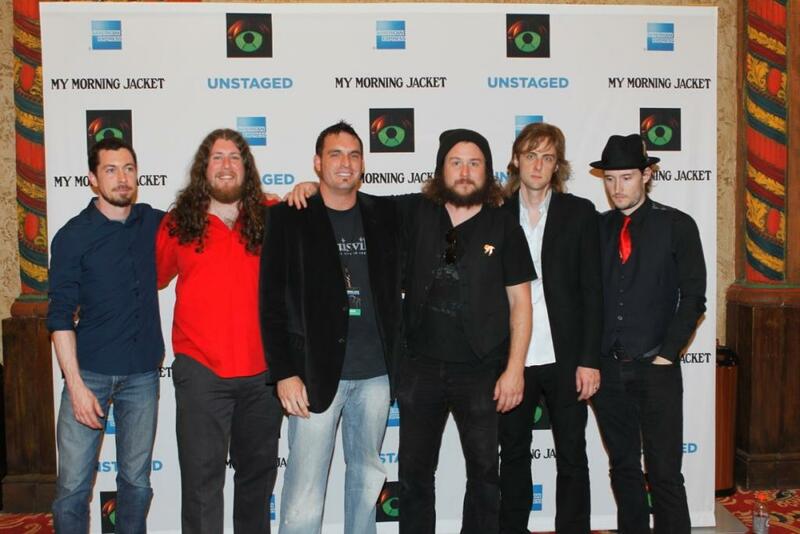 After nearly a decade and a half, a My Morning Jacket concert is rapidly becoming that of legend in the world of music. Yes, that’s right, legend. Virtually every time they claim the stage, they have something up their sleeve that will soon leave their fans’ heads spinning. Last night’s performance at Louisville’s Palace Theater, the official launching of their new album Circuital, did just that. Multiple times over, I might add, and all of it streamed on the internet live on YouTube and Vevo for anyone willing to logon. Even Louisville Mayor Greg Fischer couldn’t help but make an appearance, declaring MMJ as “the world’s greatest band” and announcing that through an online poll the song fans most wanted to hear was “Steam Engine.” The performance that followed of the song was mesmerizing to say the least. A host of other guest musicians joined MMJ onstage throughout the night including Wax Fang’s Kevin Ratterman, who aided in percussion on several songs, Ben Sollee and Daniel Martin Moore who joined in on “Wonderful (The Way I Feel),” and of course, Erykah Badu who added some soul to “Wordless Chorus” and “The Day Is Coming.” MMJ also performed two of Badu’s songs, “Twinkle,” and “Tyrone” which was highlighted by Jim James bowing down before Badu while she stroked his hair, and James simultaneously blistering out one wicked guitar solo. The onstage drama was intense and this proved to be the pinnacle of the night. 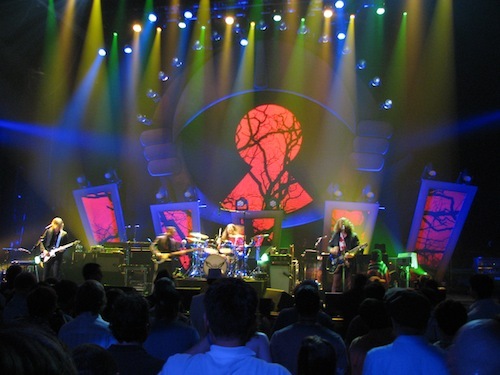 Over the years MMJ has given some amazing performances and played some of the world’s most storied venues. From Coachella to Bonaroo, Madison Square Garden to Boston Symphony Hall, and Saturday Night Live to David Letterman, MMJ has done it all. 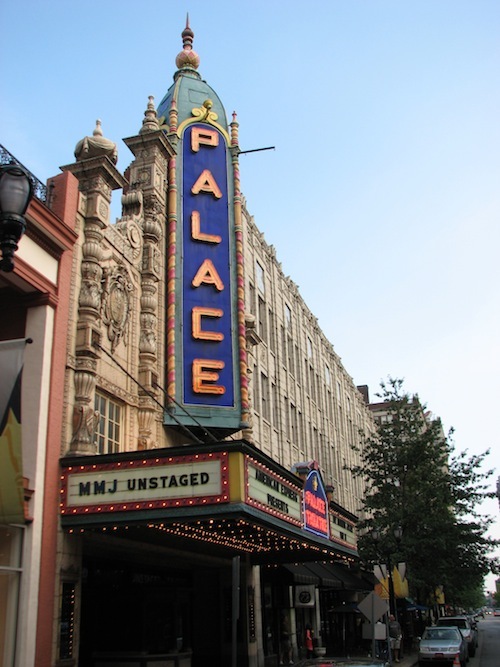 And although I’ve not attended one of those performances I can confidently say that last night’s 3+ hour performance at Louisville’s Palace Theater had to be their most legendary yet. In one night they transformed Louisville’s Palace Theater into their own makeshift commune, played virtually every song off their new album “Circuital” and basically every other hit from their previous discography. They ignited the crowd to the point where nobody ever really sat in their seats and instead spent the entire night dancing wherever they could muster a move, raising the temperature inside the Palace to something that felt like a sauna. After the concert ended, fans were high-fiving, hugging and cheering all the way out the door and onto 4th Street. At that moment I realized what MMJ had done. They hadn’t just released a new album or just given another legendary performance. Nope. They unified our city of Louisville while the world was watching.